USDCAD is chiefly under the influence of US housing which declined and the oil prices. The pair is finding support at 1.33090 with resistance at 1.33570 which both lines are above the weekly pivot point at 1.32890. The EMA of 10 is moving horizontally and it is located above the EMA of 100 and above the EMA of 200. The RSI is falling towards the 50 level, the MACD indicator is in positive territory and the Stochastic is moving in low ranges. The ADX is showing a weak buy signal. 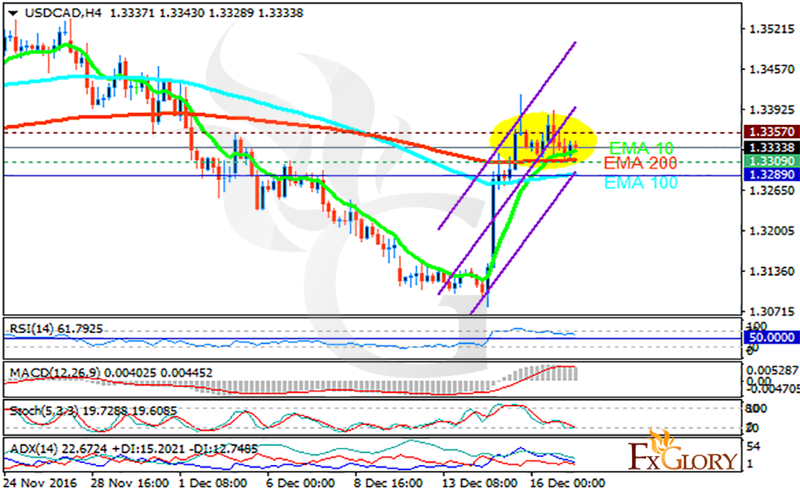 The pair is headed towards the support area targeting 1.3260 afterwards.